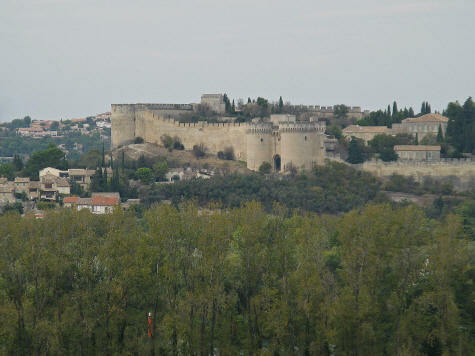 Fort St. Andre is located across the Rhone River from Avignon in the town of Villeneuve-les-Avignon. The 14th century castle was built for protection when the Vatican was moved from Rome to Avignon France. The fort can been seen in the distance from Parc Rochers des Dom - the park located next to the Popes' Palace. The Chartreuse du Val-de-Benediction (monastery) is situated near Fort St. Andre.